In part one, Marc gave his views on some of the major recent talking points in Formula One. In part two, talk turns to technical regulations and explains why Formula One can learn a lot from Formula E.
Rob Watts: There’s a big regulation change coming in for F1 in 2017. As we’ve often seen in the past, new regs have a tendency to shake the order up a bit. Unfortunately, last time there was a major regs change, McLaren didn’t fare so well. Is there a chance they could get it right this time, or is it still likely to be Mercedes and Red Bull at the front? Marc Priestley: Any major change is an opportunity, as you’re given a blank canvas. It’s up to you then how you interpret it, and what you do. McLaren has great facilities so they’re well placed to do a good job with a regulations change. The fact that this is a major aerodynamic change has led people to say, ‘Well it’s all about aerodynamics now’, but we’ve still got the engines, we’ve still got the hybrid power units, and these are not changing very much from last year other than development wise. So, you still need a good one of those to be successful no matter how good aerodynamically your car is. That’s why you’ve got to say that Honda need to up their game. They are coming with a whole new design of the engine, and that is going to be as influential as anything McLaren can do on the aero side. It’s a total lottery. I’m a technical guy, and I love it when we get a big technical regulation change because it gives people the opportunity to be creative, and that’s what I love. On the other hand, whenever you leave a set of regulations stable, things close up naturally, and I just think we haven’t left it long enough. We were starting to see Red Bull nipping at the heels of Mercedes, and give that another season perhaps and you might just find that Ferrari and Red Bull really do close up again like we had at the end of the V8 era. There’s every chance with a big chance like this that somebody – whether it’s Mercedes, Red Bull, or somebody else – might do a far better job than anybody else and disappear into the distance. Then we’ll all be complaining that it’s not close enough again. 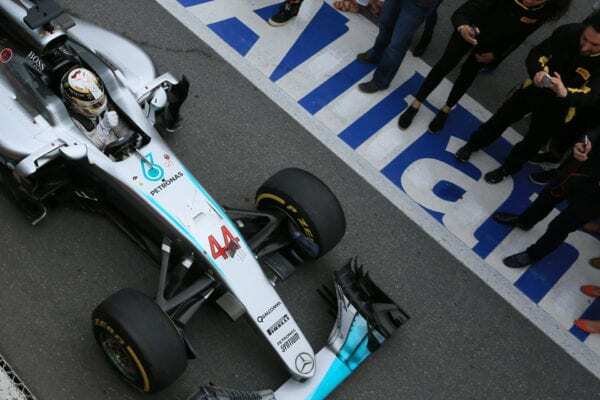 Formula One has a habit of knee-jerk reactions. I’d love to see a much longer term approach taken to where we go in 5 or 10 years time. Ross Brawn has talked about that recently, and it it makes a lot of sense. We can’t be reacting all the time to people saying it’s not close enough, or it’s not noisy enough, or whatever. We’ve just got to let things play out; have a structure, a road map to get there, and then stick to it. RW: One of the major changes over the past few months has been the sport’s change of ownership, with Liberty coming in and taking over. 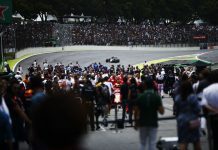 What do they need to do to put Formula One on the right track? MP: Well, first of all, I’m excited that Formula One has new owners. Formula One is a hugely traditional sport, but it’s stuck in its ways in a lot of areas. We should be cutting edge in everything. Not just the cars, but media and marketing, strategy, software, everything – we should be leading the way. We’re definitely not leading the way in terms of marketing, social media or digital strategy, and the way we broadcast Formula One. To have a massive media organisation come in is really exciting. We should all be excited by that because we’re going to get some change in that side of things, and we desperately need change. We’ve only recently, in the last year or so, seen an official Formula One Twitter account and a YouTube channel – that’s pretty poor when you think this is new media, and how new fans are going to be attracted to the sport. We’re so far behind some other sports, it’s embarrassing. One of the things I hope the new owners do is to make the sport more accessible to people. 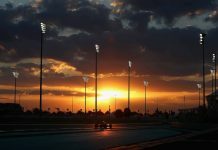 There are parts of Formula One that are very secretive, that don’t necessarily need to be – it’s a legacy from days gone by when everyone in the sport seemed to think everything had to be kept top secret. I’d like to see the teams be engaged by the new owner’s to be more open. I think the teams do a pretty good job on social media now, but there’s still scope for improvement. For Formula One as a whole, I’d like to see them appoint a proper marketing department and start leading the way. 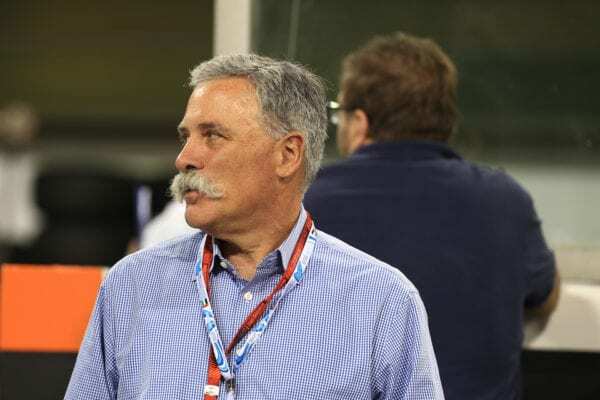 One of the good things is that Liberty Media are involved in some of the big American sports that do lead the way in those areas, so if we can apply some of that to Formula One, it’s got to be a good thing for the fans. RW: You’ve done a lot of media work in Formula E recently, and we’ve seen that Formula E does things very differently to Formula One – especially online and with social media, but also in the paddock as well. What do you think Formula One can learn from Formula E? MP: Quite a lot actually. People in Formula One, as much as they won’t admit it, are watching Formula E very closely – they are kind of a test bed at the moment. There’s lots of social media interaction, and they’re even streaming races online rather than having them broadcast only on TV. They’re getting the drivers involved with a lot of their online promotional activities, and the drivers are committing to doing that and being part of the promotion of the sport. I think Formula One allows the drivers to not have to commit to that. They do they’re driving, and then you rarely see them after that, apart from the odd thing for their own team. Why not have you drivers sign up and commit to helping promote the sport as well? They are the ones that fans want to engage with, and it’s why they follow Formula One – for the drivers. It’s not necessarily for the cars or the tracks; it’s more for the drivers. Formula One should make them a centre part of their promotion because that’s what Formula E does pretty well I think. I like the fact that Formula E has been pretty daring and has taken risks on things like fan boost, which I know has been controversial, but the fact that they’ve tried it I thnk is brave, and I applaud them for doing that. One of the things that Formula E has been good at is in trying something new, allowing the fans to have their say and then tweaking it slightly here and there. It’s a growing sport, still very young, but the fact that we’ve got manufacturers signing up for Formula E is a testament to its huge potential. It’s a real sign of how well Formula E are doing that the likes of Renault, Audi, BMW, Jaguar, Citroen through their DS brand, all these manufacturers are getting on board and saying ‘we’ve got to be a part of this’. 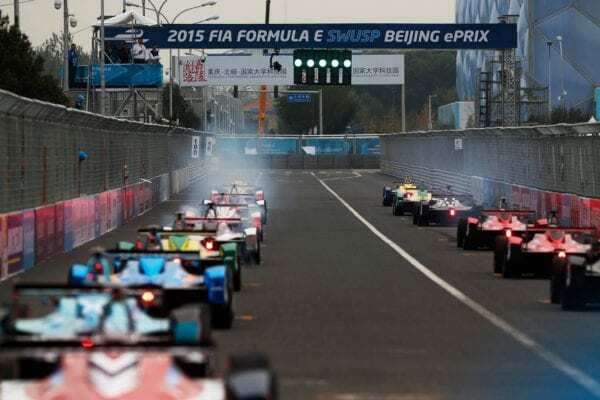 I hope Formula One aren’t too arrogant to look at Formula E and think ‘we can learn something from them’ rather than thinking ‘we’re Formula One, these boys have just turned up’, so I hope Formula E is allowed to have its place and maybe others can learn something from it. RW: And what about yourself Marc? I know you’re very busy and you’re going to be doing more with Sky – what else are you doing? MP: I’m doing most of the Formula One races with Sky, and I’ll be doing every Formula E race this year with Formula E themselves. So that’s really exciting, plus I’m doing a lot of other things in between – some of which I can’t tell you about just yet, but 2017 is looking like being an exciting year for me. I’ve been looking at my schedule for the year, and I’ve got very few weekends off, but that’s a nice problem to have! I love what I do, and I feel hugely lucky to be doing what I do. If I weren’t working in this sport, I’d be one of its biggest fans. 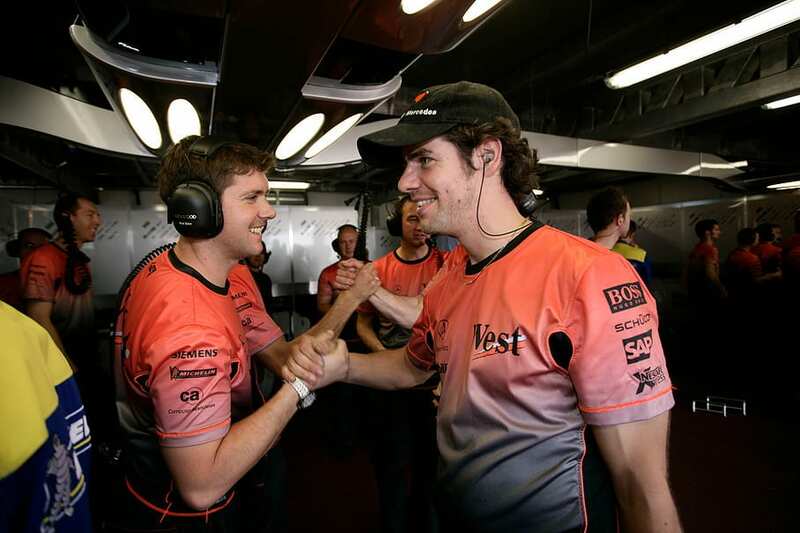 It was a dream come true initially to get into Formula One and do my years as a mechanic but to have a second career working in Formula One and Formula E is just brilliant – I love it! In case you missed it – here’s part one of Rob’s chat with Marc Priestley. Many thanks to Marc for being generous with his time.